Medan ([meˈdan]; is the capital of North Sumatra province in Indonesia. Located along the northeastern coast of Sumatra island, Medan is the fourth biggest city by population in Indonesia, behind Jakarta, Surabaya and Bandung. With 2,097,610 inhabitants at the 2010 census, Medan remains the largest settlement outside of Java island together with the richness of its multicultural peoples. Bordered by the Strait of Malacca, Medan is a busy trading city around the island as located near the strait which is one of the most important shipping lanes in the world. Medan is the gateway to the western part of Indonesia, accessible via the Port of Belawan and Kuala Namu International Airport, stated the city as the third largest city in the country by economy after Jakarta and Surabaya, this city economy is linked well with Malaysian cities (especially Penang and Kuala Lumpur) and Singapore by trade, service and natural resource exchanges. Both the seaport and the airport are connected to the city center via toll road and railway. Medan also became the first city in Indonesia to have an airport supported with train service. The city was founded by Guru Patimpus, a Karonese man who named a swampy land in confluence of Deli River and Babura river as Kampung Medan Putri (Village of Medan) as the first settlement. In 1632, the Deli Sultanate was established by Tuanku Gocah Pahlawan, who became its first king. In the 18th century, the eighth king, Sultan Mahmud Al Rasyid Perkasa Alam, started a relationship with the Dutch. Jacob Nienhuys, a Dutch tobacco merchant, pioneered the opening of tobacco plantations in Deli Land. The area's name changed to Medan-Deli when it was established by Dutch tobacco commerce after the formation of the Deli Company. 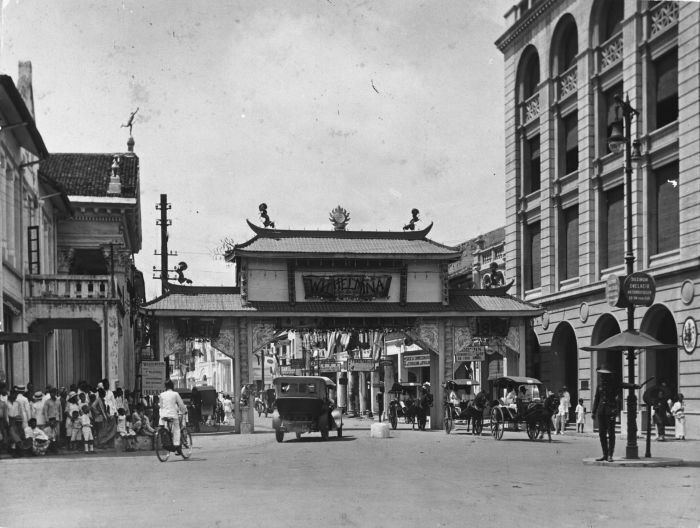 With the help from the 9th Sultanate Sultan Ma'mun Al Rasyid Perkasa Alam, and also the well-known Chinese businessmen Tjong Yong Hian and Tjong A Fie, the rapid development of the economy transformed Medan-Deli into a big trading center with the nickname het land dollar, aka the land of the money. The Deli Railway was established for shipping rubber, tea, timber, palm oil, and sugar industries from the city to Belawan, a port town located north of Medan. Medan was briefly the capital of the State of East Sumatra, which was established in 1947 as a result of the Dutch "police actions" against newly-independent Indonesia and later became part of the United States of Indonesia from 1949 to 1950. Following the establishment of the Republic of Indonesia, Medan became the capital of North Sumatra in mid-1950. Medan was dubbed by the Dutch Parijs van Sumatra due to the city's resemblance to Paris. Lamudi, a worldwide real estate portal, recognized Medan as one among six cities in Asia to feature and preserve several colonial architectural sites, while accompanying its growth as a metropolitan city. Medan started as a village called Kampung Medan (Medan Village). 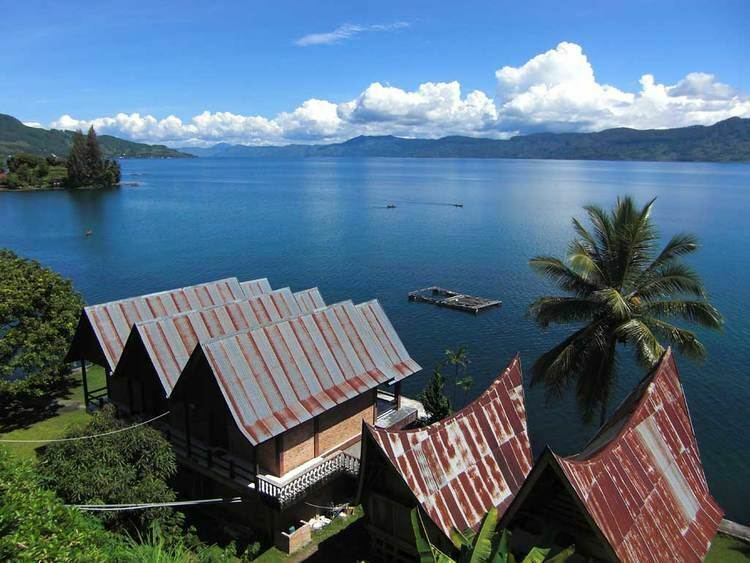 Kampung Medan was founded by Guru Patimpus Sembiring Pelawi, a Karonese man who came from the Karo Land. Before he became a Muslim, he was a Pemena follower. Following the history of "trombo" and Hamparan Perak (XII Kuta), Guru Patimpus studied Islam from Datuk Kota Bangun. At the time, Guru Patimpus and his people wanted to meet Datuk Kota Bangun. Not only did they want to meet Datuk Kota Bangun, they also wanted to compete with him for power. Whenever Guru Patimpus went to Kota Bangun, he always passed Pulo Brayan. In Pulo Brayan, Guru Patimpus fell in loved with the Princess of Pulo Brayan King. Eventually, he married the princess and had two sons, Kolok and Kecik. 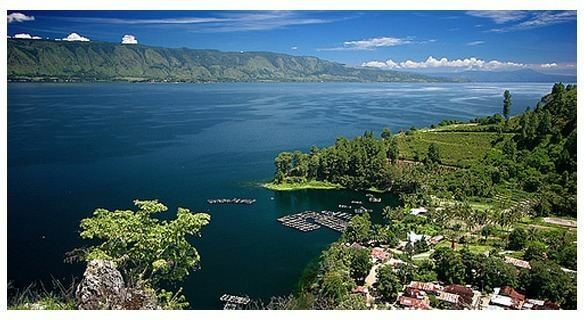 After he got married, Guru Patimpus and his wife turned the forest area in confluence between Deli Riverand Babura River into a small village and it was called Kampung Medan. The date when that happened has been marked as the date of Medan anniversary. It happened in July, 1st 1590. In his days, Guru Patimpus is classified as people who were thinking ahead. This was proved by sending their children studied (study) read the Qur'an to Datuk Kota Bangun and then sent them for deepen about Islam to Aceh. The Sultanate of Deli still exists until this day, even though the administrative powers has been replaced with elected Mayors. The current sultan is "Sultan Mahmud Lamanjiji Perkasa Alam" the 14th sultan, (ruled since 2005). Coronated the age of eight, he is the youngest sultan that has been coronated in Deli Sultanate history. The development of Medan-Deli as a trading center was followed by it becoming a center of government. In 1879, Capital Assistant of Deli Resident moved from Labuhan to Medan. On 1 March 1887, the capital of the Resident of East Sumatra also moved from Bengkalis to Medan Deli Sultanate Palace which was originally located in Kampung Bahari (Labuhan) and Pulo Brayan also moved with the completion of Maimoon Palace on May 18, 1891, and thus the Capital of Deli officially moved to Medan. In 1918 there were 43.826 residents of Medan, made up of 409 Europeans, 35,009 Native Indonesians, 8,269 Chinese and 139 East foreign such as Indians. Since then the Medan developed more rapidly. Various facilities are built. Some of these include the Office of Experiment Stations named AVROS in Kampung Baru (1919), now RISPA, the railway of Pangkalan Brandan - Besitang (1919), Tirtanadi Water Tower (1908), American Consulate (1919), Teacher school on Jl. H.M. Yamin now (1923), Mingguan Soematra (1924), Pool Association Medan (1924), Central Market (Grote Markt/Toa Pa Sat or 大巴刹), St. Elizabeth Hospital, Eye Hospital and Kebun Bunga Sports field (1929). After the Independence, the central government began to establish RIS (United States of Indonesia) In 1949, and Medan became the capital of state of East Sumatra with Tengku Mansur as State Mayor. After the RIS era ended, Medan officially became the capital of North Sumatra. The city development remained stagnant until the 1970s, when big developments, especially palm oil and rubber plantation company headquarters, making Medan the busiest city outside of Java. The big migration program brought a lot of Javanese and the Bataks people began to settle in the city as many people from Java and rural part of the province seeked jobs. Medan hit the one million population mark in 1998 and 2 million in 2010, and city has begun to be referred as a Metropolis around 2006. Medan was governed by mayor Dr. H. Abdillah Ak, MBA (appointed for the period 2005–2010). However, Abdillah and his vice mayor were caught by Indonesian Corruption Eradication Commission officials in 2008. Syamsul Arifin, the Governor of North Sumatra Province, then appointed Affifudin Lubis to become the acting mayor. In 2009, Affifudin Lubis resigned as mayor and the Governor then appointed Rahudman Harahap as mayor. Because Rahudman wanted to be a candidate in the 2010 mayor election, he too resigned from the office. Then Syamsul Arifin himself became the acting mayor. In the 2010 mayor election, Rahudman Harahap won the election. Rahudman was arrested due to corruption which resulted in his deputy Dzulmi Eldin officially becoming the acting mayor. The city is Indonesia's fourth most populous after Jakarta, Surabaya, and Bandung, as well as Indonesia's largest city outside of Java island. The population has risen from 568,000 in 1968 fourfold to 2.1 million in 2010. Much of the population lies outside its city limits, especially in Deli Serdang Regency. The official Metropolitan area (Wilayah Metropolitan Medan) was inhabited by 4,144,583 people in 2010. As for Ethnicity, the Batak (including Mandailing and Karo people) and Javanese are the major ethnics in Medan, with sizeable Chinese, Minangkabau and Malay people and also has small Acehnese, Indians, Nias, and Sundanese people. Medan also has foreign residents from India, Sri Lanka Bangladesh, Thailand, China, Taiwan, Middle East and other Asian countries. In addition, there is a large ethnic Javanese community, largely made up of the descendants of people transported from Java in the last 19th century to be employed as contract workers at various plantations in North Sumatra. They are usually known as Pujakesuma (Indonesian: Putra Jawa Kelahiran Sumatera, English: Sumatra-born Javanese). Their presence in Medan can be marked from various Javanese toponymies in Medan, such as Tanjungsari, Sarirejo, Sidodadi, Sidorejo, and etc (mostly in East Medan and Medan Tembung area). The Malays are another natives in Medan, already living in outskirt area like Belawan and Labuhan since Aru era as fisherman, and then they're come to city area after establishment of Deli Sultanate new palace in 18th century. The Malays living spread throughout the city, but they have a big concentration population in Medan Maimun, Kota Matsum, Labuhan and Belawan. A highly visible component of city population is the large number of Chinese as them starting migrate from China to Deli since 16th century and big flow migration in 19th century as planters and coolies. Now, Medan is home of the largest Chinese community in the Sumatra island, who are active in the business and trading activities. Mostly Chinese residents in Medan can speak fluent Hokkien, a dialect originating from Fujian in Southern China. Medan also has its own variation of Hokkien, known as Medan Hokkien, which has the same similarity with Penang's one. The Chinese reside throughout the city, but majority lives around city centre area. The city also host a sizable community of Tamil descendants who are commonly known as Madrasis or Tamilan. A well-known Tamil neighbourhood are Kampung Madras which is located on the city-center, added up as being one of the busiest part of the city. Islam is the major religion of Medan, constituting almost 60 percent of all residents; most of those who follow Islam are Javanese, Minangkabaus, Mandailings, Malays, Acehnese and small Karonese people. Mosques and Halal food are quite easy to find anywhere around the city. Christianity is the second largest religion, constituting around 29.26 percent, most are Protestants and small (around 10 percent out of all Christians) are Catholics. The Bataks (Toba, Karo, Simalungun), Nias with a small Chinese and Indian people are the main adherents of this religion. The HKBP, GBKP and Methodist are the biggest Christian denominations in Medan. Buddhism formed around 9.90 percent, with the Chinese being the largest group of followers. Most Buddhists in Medan follow Mahayana Buddhism. The followers worship Buddha, Maitreya and also Avalokitesvara. Hindu are the 4th largest religion at around 2.15 percent. The Indonesian government does not include Sikhs as an official religion, but the majority of the Indians who are living in Medan are followers. Hinduism in Medan is quite different from other parts of Indonesia where the branch is the Balinese version of Hindusm and the major Gods worshipped include Murugan, Shiva, Mariamman and Krishna. The last registered religion in Medan are Confucianism or in Indonesian known as Konghucu, mostly adherent are the Chinese, the Taoism and Chinese Folk religion are also including as Confucian in ID Card, Confucius, Mazu and Guandi are the most worshipped God and Goddesses for this religion followers in Medan. Medan has already grown to become one of the largest metropolitan cities in Indonesia and become the center of growth in the province of North Sumatra. Now the city is an important commercial and economic hub of Indonesia. Locals, as well as many foreigners have set up their business to take advantage of its dynamism and boost its economy. Medan's economy was mainly based on tobacco, rubber, tea and coffee culture and production, but growing manufacturing sector such as automotive assembly, production of machinery, tiles, etc., also contributing now to the city's economy. Medan is more like the most industrious city in Sumatra consisting of many small, medium and large-scale enterprises. Because of its location and its proximity to Singapore it functions strategically as the main gateway in the western region of Indonesia & for the trading of goods and financial services on domestic, regional and international levels. Many international companies maintain offices in the city, namely London Sumatra, Philips Lighting, Toba Pulp Lestari, Marriott, ABB Group and DBS Bank, etc. Medan is one of the Indonesia’s most promising property markets outside Java, and several high-value developments have transformed its property market – and skyline. Many of country's big property developers are building condominiums, hotels, office towers and a shopping malls in the city. The Bukit Barisan Museum is a military museum opened by Brigade General Leo Lopulisa on June 21, 1971. This museum is located at 8 Jalan H. Zainul Arifin, Medan. 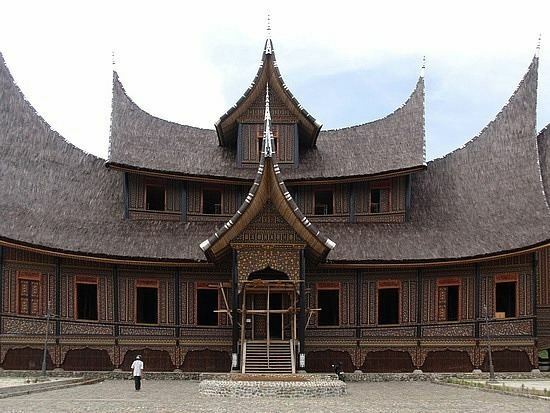 It houses several historic weapons include weapons that were used in the struggle for independence and the revolt in North Sumatra during 1958. In this museum we could see several motives/ painting of the revolt against the Netherlands. Because of its multiculturality, Medan has wide varies of cuisine which are categorized as local, western, east and southern Asian and Middle Eastern cuisine, the city hosts a lot of cafes, restaurants, food centre and also street vendors with a varies prices. Nelayan is one of the famous restaurants in Medan, serving a halal-Chinese seafood especially dim sum. Garuda is the most popular Minangkabau and Malay restaurant in Medan serves nasi padang and gulai, Cahaya Baru is an Indian restaurant located on Kampung Madras with its most recommended food as chapati and tandoori. 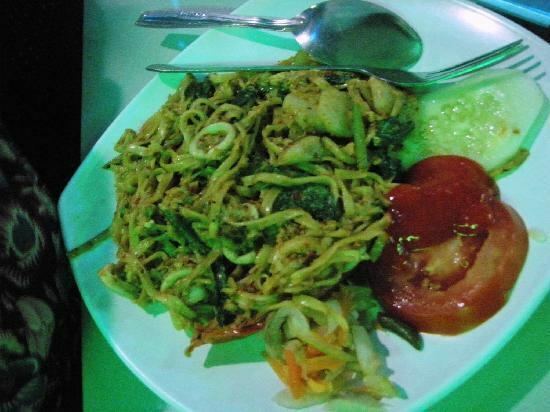 The most visited Bataknese restaurant are OnDo Batak grill and Tesalonika with known as best babi panggang or Saksang. This city is known as culinary heaven of Indonesia which is prominent for its street hawkers offering a great variety of cuisine which often serves cheap local delicacies, Medan has several most known culinary spots like Jalan Selat Panjang and Jalan Semarang for Chinese food, Jalan Pagaruyung for Indian and Malay food and Jalan Padang Bulan for Bataknese food. Merdeka Walk is the first Tensile Structure (Alfresco Outdoor Concept) in Indonesia, filled with a variety of cafés and restaurants. Durian is a popular fruit in Indonesia and nowhere more so than in Medan. This thorny fruit, with its very distinctive taste and smell, is available for cheap all over the city. Ucok Durian along Jalan Iskandar Muda is the most known Durian seller in the city. Soto Medan, is a chicken/pork/beef/innards soto with added coconut milk and served with potato croqutte (perkedel). The meat pieces are fried before being served or mixed. Bika Ambon is a dessert from Indonesia. Made from ingredients such as tapioca flour, eggs, sugar, yeast and coconut milk, Bika Ambon are generally sold in pandan flavour, although other flavors such as banana, durian, cheese, chocolate are also available. Tau Kua He Ci (豆干虾炸) is local Chinese version of Rojak but made with fried prawn, vegetables and tofu with chilli sauce. Its other name also called as Lap Choi (腊菜). Teng-Teng (丁丁) is a candy made with peanut. Bolu Meranti is the most famous homemade Swiss roll in Medan, usually local and international tourist always bought the cakes for souvenir from the city. The Medanese dried anchovies also is one of a "must" souvenirs from Medan, could be bought from Pusat Pasar (Central Market). Medan also has some modern malls. The newest and most popular among them are Sun Plaza, Centre Point, Cambridge City Square, Medan Focal Point, Hermes Place Polonia and Plaza Medan Fair. The oldest malls are Thamrin Plaza, Medan Mall, Medan Plaza, Yang Lim Plaza, and Yuki Simpang Raya. The upcoming malls in Medan are Podomoro City Medan, Metrolink Trade Center, Ring Road City Walks, and The Manhattan. HillPark GreenHill City  – the latest theme park 1 hour from Medan on the way to Berastagi. Medan is well-connected by road, air, rail and sea. There are plenty of options for public transport within city and intercity. The new Kualanamu International Airport (KNO) was opened to the public on July 25, 2013. The new airport is the second largest airport after Soekarno-Hatta International Airport with a 224,298 m2 (2,414,324 sq ft) passengers terminal and will eventually have a capacity of 50 million passengers (2030). It is the first airport in Indonesia which has direct rail links to the city. The airport is the hub for Garuda Indonesia, Indonesia AirAsia, Lion Air, Susi Air and Wings Air. The new airport is a replacement for the Polonia Airport. Unlike the old Polonia Airport which was located in the heart of the city, this new airport is approximately 39 km (24 mi) from downtown. The airport has direct domestic flights to many major cities in Sumatra and Java. There are also some international flights to Malaysia, Singapore, Thailand, Saudi Arabia, Sri Lanka, etc. An airport train known as Airport Railink Services (ARS) connects the airport to city center. The train runs from Medan Main Station beside the Merdeka Square at Jalan Balai Kota from 4:00 a.m. to 08:00 p.m, and from the airport from 5:25 a.m. to 9:30 p.m. It is the fastest way to reach the airport from the city, taking 30 minutes. Alternate modes of transport from the airport into the city take longer (30 to 47 minutes). There are two port terminals, one for Passenger and Ferry Services to Penang and Langkawi and some Indonesian cities such as Batam, Jakarta, and Surabaya. another terminal known as Belawan International Container Terminal (BICT), used for export and importing services, BICT is one of the largest shipping industry port in Indonesia. Railway lines connect Medan to Binjai and Tanjungpura to the northwest, to port of Belawan to the north, to Tebing Tinggi and Pematang Siantar to the southeast, and also Rantau Prapat among other cities. The largest train station in Medan is Medan Station. There are also smaller stations in Medan, such as Medan Pasar, Pulu Brayan, Titi Papan, and Labuhan, and Belawan. Titi Papan and Pulu Brayan only serve as the stop for freight trains carrying oil palm and petroleum. There are also have express train connecting to another North Sumatra cities such as Tebing Tinggi, Pematang Siantar, Tanjung Balai, and Rantau Prapat. Several rail lines around medan is under-constructed to replace them with an elevated railway. The Railink train is an airport express train connecting from CRS (City Railway Station) to ARS (Airport Railink Station), Operated 18 hours (from 5 am to 11 pm) with 30-minute distances. An elevated railway is under construction to make this airport rail service 15-minute distances. The CRS provides with a city check-in services for selected airlines. One of the unique features of Medan are the motorized rickshaws known as Becak Motor (Bentor) or Becak Mesin. The becaks are found almost everywhere. Unlike the Javanese rickshaws, the driver sits on the right side of the vehicle and unlike traditional becaks, a motorized becak can take its passenger anywhere in the city. The fare to ride a becak is relatively cheap and is usually negotiated beforehand. There are also more public transport like taxis and minibuses, known as Sudako or Angkutan Kota (Angkot). The angkot can be found easily in medium-to-high congested roads, and angkots always use a route number. The TVRI Medan (state-owned), iNews TV Medan, RTV Medan, DAAI TV and Deli TV (private) are the five local television stations that airing in Medan. Medan also has twelve national television stations: Indosiar, MNCTV, Trans TV, ANTV, Global TV, RCTI, SCTV, TV One, Metro TV, Trans7, NET., Kompas TV, Nusantara TV, INTV, O Channel. RRI is the only state-owned radio in Medan, provides in Indonesian and English language. Several local languages radio are also serves, such as: Kardopa Radio (in Batak language), CityRadio FM and A-Radio FM (in Chinese language) and Simphony FM (in Malay language). Medan also has several popular radio channels like Prambors FM, SIndo FM, I-Radio, KISS FM, VISI FM, Delta Fm and others. Several national and local newspapers are running in the city with Harian Mimbar Umum as the oldest one. Other popular newspapers include Harian Waspada, Analisa, Kompas, Jurnal Medan, Berita Sore, Harian Global, Harian Medan Bisnis, Posmetro Medan, Suara Indonesia Baru, and Tribun Medan. There are also has some mandarin language newspaper such as Harian Indonesia (印尼星洲日报), Guo Ji Ri Bao (国际日报) and Shangbao (印尼商报). English newspaper like The Jakarta Post also distributed in the city. Aplause Magazine, is one of the magazines from the city, published monthly and brings on Food, Travel, and Inspiration theme and what's is happening around Medan. This magazine is the pioneer of a local magazine that specializes in the discussion of the theme of lifestyle or urban lifestyle. Publication 2005, Applause Magazine itself managed by Analisa Daily, the newspaper has a circulation of 65,000 copies in North Sumatra. Football is one of the more popular sports in Medan, with five local clubs: PSMS Medan, Medan Jaya, Medan Chiefs, Bintang PSMS and Medan United; and a basketball club named Angsapura Sania. Another locally popular sport is Wushu, with significant growth in recent years as one of the favorite sports in Medan. It has its training center in Jalan Plaju in heart of town. Medan has recently seen much success in Wushu nationally and internationally. Medan has a multi-purpose stadium named Teladan Stadium. This stadium is used mostly for football matches, and serves as a home stadium for PSMS Medan. As the largest city outside Java island, Medan provides with more than 827 registered Elementary school, 337 Middle School and 288 High school, this is included state-owned school, private school, religious school and foreign school. Some of notable school are: Sutomo School, Chandra Kusuma School, Medan International School Prime One School, Telkom Sandhy Putra Vocational School, St. Thomas School, SMA Negeri (State high-school) 1,2,3,4, etc. Medan also has 72 registered universities, academy, polytechnics, and colleges such as: University of North Sumatra, Medan State Polytechnic, State University of Medan, Prima University, HKBP Nommensen University, Universitas Methodist Indonesia, Muhammadiyah University of North Sumatra, IT&B Campus, Medan Tourism Academy, Pelita Harapan University and others.